PhoneTray identifies callers before you answer the phone. When a call comes in, PhoneTray rings and shows an alert with the caller's name and number. 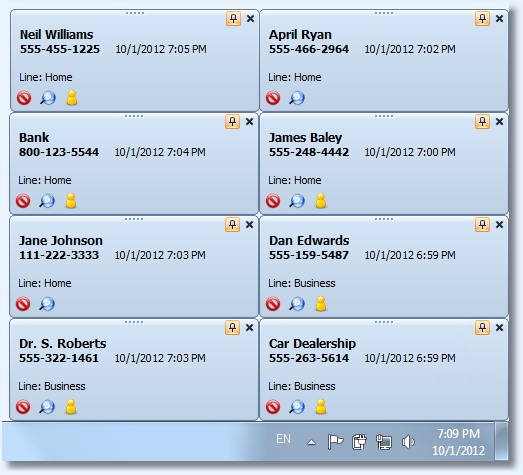 PhoneTray allows you to assign custom names to your frequent callers. 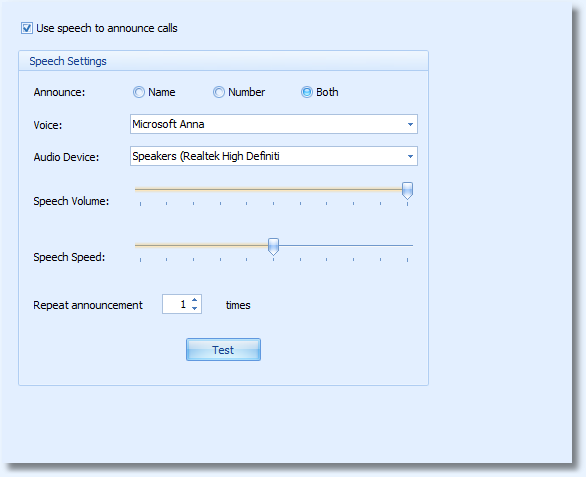 The assigned name will be displayed and announced instead of regular Caller ID. PhoneTray announces incoming calls using computer speech so you can hear who is calling without looking at your computer screen. 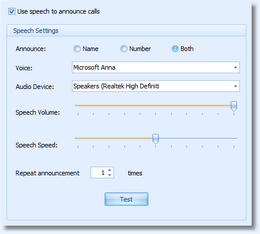 You can select to announce caller's name, number or both. PhoneTray can display full screen call alert showing incoming call information using large font so you can see it from a distance. 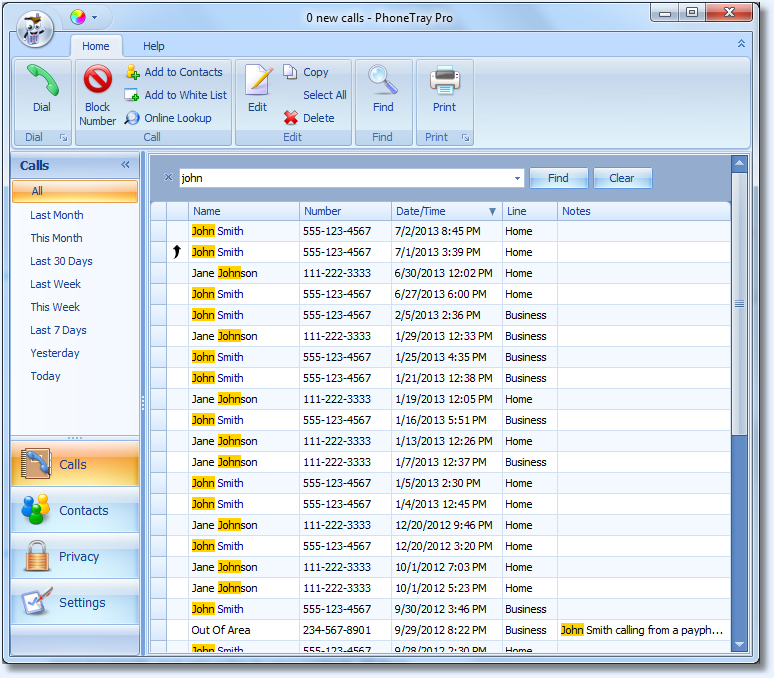 PhoneTray logs all your incoming calls and all calls that you dialed using PhoneTray. It keeps the date, time, name and phone number of each call. You can also add notes to your calls. PhoneTray can show complete call history or only calls received today, yesterday, this week, last week, this month or last month. 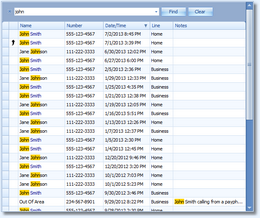 You can search your call history by number, name or note. 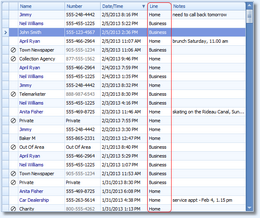 All calls matching your search criteria are shown and the search term is highlighted. 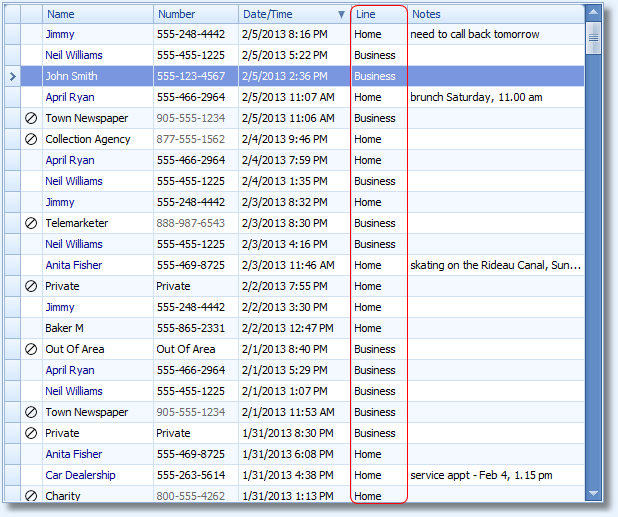 You can also sort your calls by name, number, date/time or line. 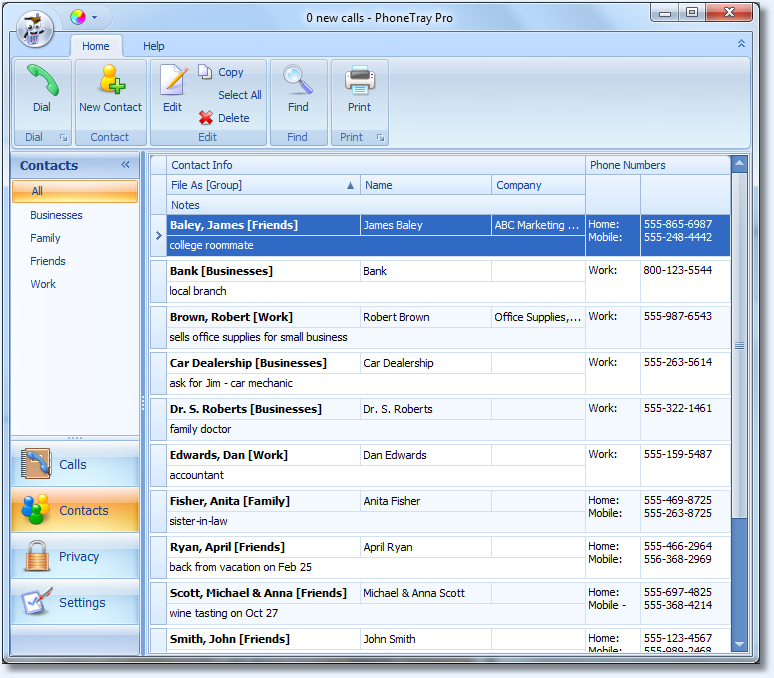 PhoneTray can store unlimited number of your contacts. 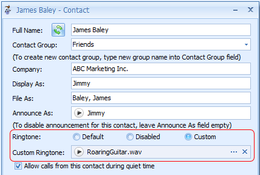 You can set separate display name and name for announcements, and add notes to your contacts. 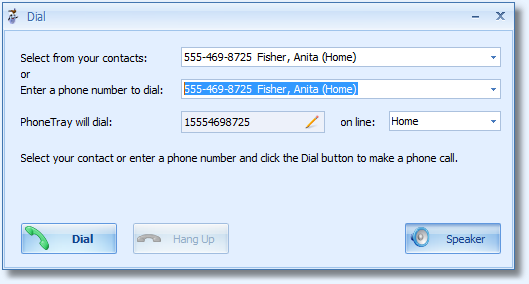 Multiple phone numbers per contact are supported. 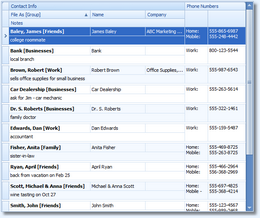 You can organize your contacts into any number of custom contact groups, e.g. Friends, Family, Local Businesses etc. 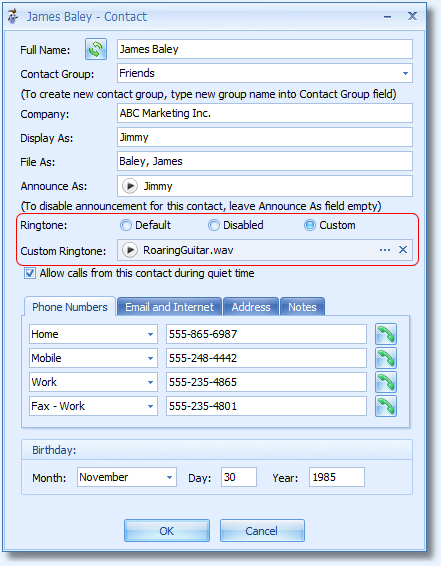 PhoneTray plays special ringtone when one of your contacts calls. You can also set custom ringtone for any contact. 20 ringtones are included with the program and you can use any wav file as your custom ringtone. PhoneTray saves time by dialing phone numbers for you. 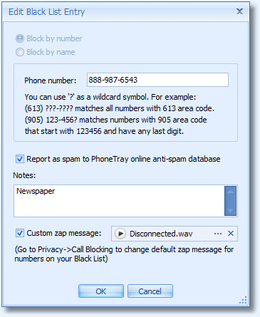 You can call one of your contacts or any number from your call history with just one click. PhoneTray will quickly dial the number and let you know when to pick up the phone and talk to the person you are calling. 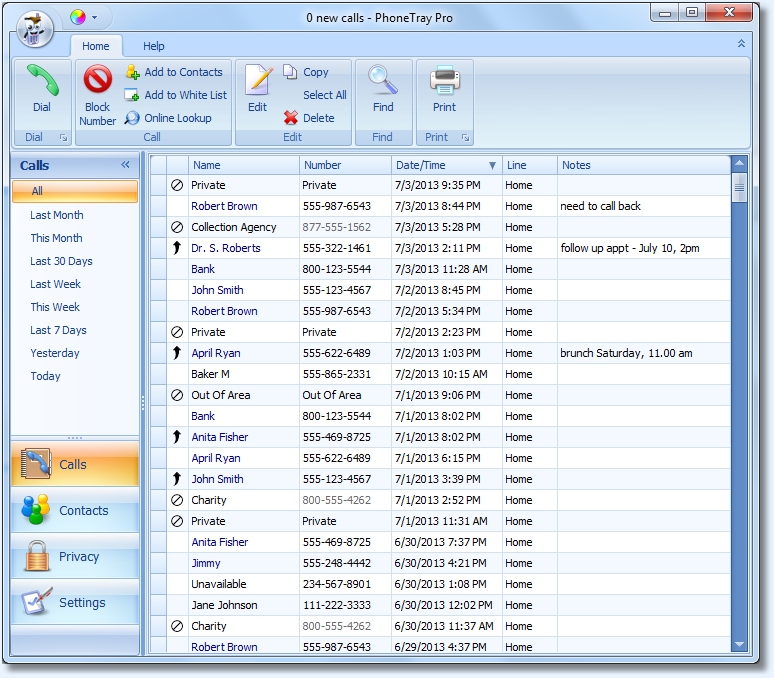 Privacy Manager allows you to configure how PhoneTray handles incoming calls. 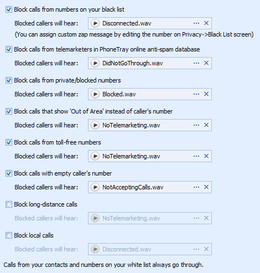 For example, you can set PhoneTray to automatically block all calls from private (blocked) numbers with a message telling the caller to unblock his/her number. 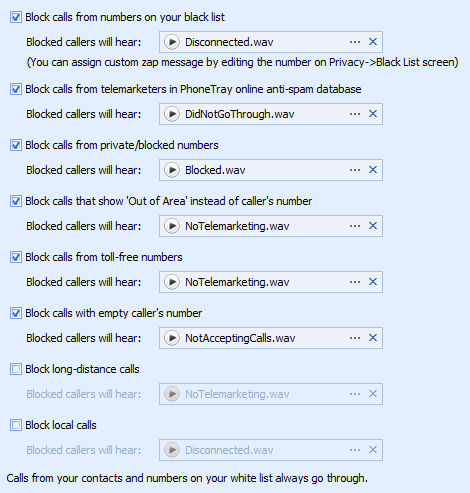 PhoneTray can block calls from specific numbers or reject any other type of unwanted calls (toll-free, out of area etc.). Several useful messages are included with PhoneTray. You can also record your own wav files and use them with PhoneTray. PhoneTray can automatically zap telemarketers with a special 'number disconnected' tone. After receiving this tone telemarketer's computer will most likely delete your number from its database and stop calling. PhoneTray can play Federal 'do-not-call' warning forcing telemarketers to remove you from their calling lists - by law! 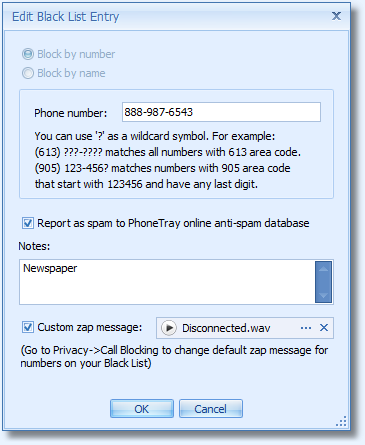 In addition to automatic call blocking, you can manually zap any call by clicking a button on the call alert popup. 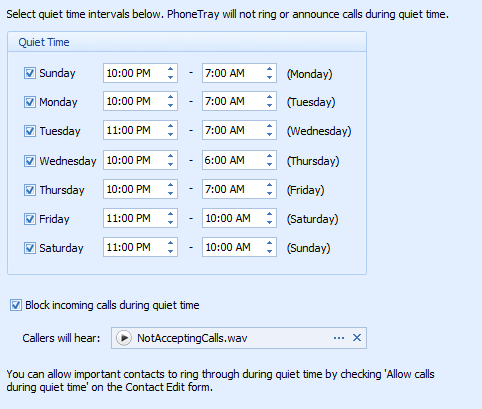 If you do not want to be bothered by late calls you can set your "quiet time" and PhoneTray will block all calls during that time. 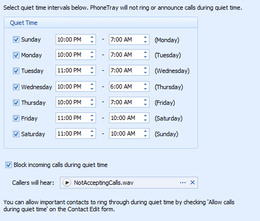 You can select quiet time intervals for each day of the week. Important contacts can be allowed to ring through anytime. PhoneTray supports 2 phone lines (2 modems are required). 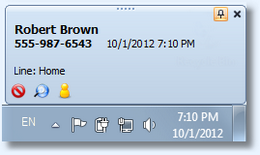 When a call comes in, call alert popup shows what line the call is on. 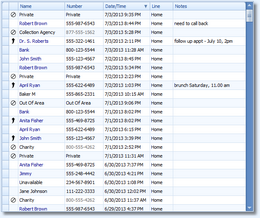 You can also see what line received the call for each call in the call log.